On this 2013 edition, details of the new cross-lagoon causeway bridge at Simpson Bay are shown, as well as associated depth and dredged channel changes. 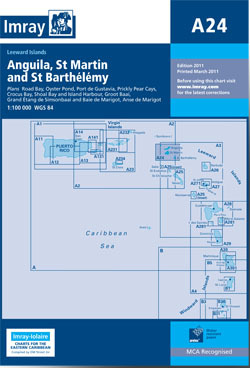 Harbour developments and the latest depths are also shown at Great Bay (Groot Baai) and Port de Gustavia. The remainder of the chart has been fully updated throughout.